The length is up to 3/4 thigh. 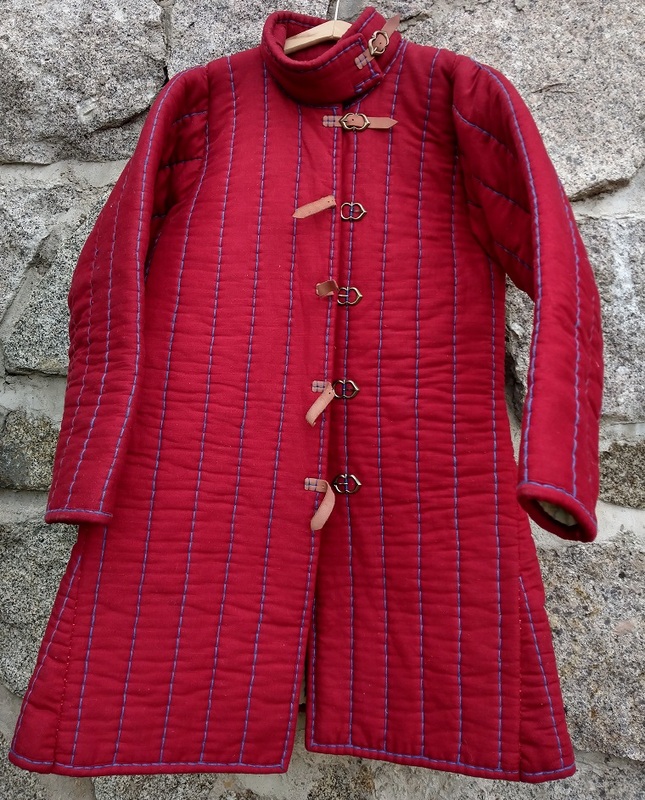 The thickness of the quilts including the collar is 8mm in the area of ​​the arms, shoulders and spine is 12mm. In the armpit there are gaps. Suitable under armor and ring armor. The length is half the thigh. 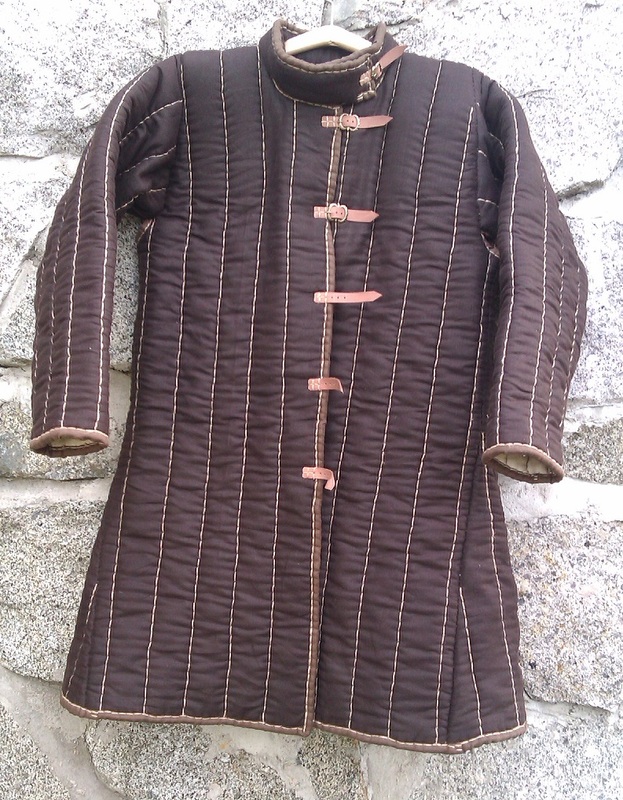 The thickness of the gambeson, including the collar, is 8mm. In the armpits there are gaps. Suitable under armor and ring armor.